Investment in landscaping is a smart move. But many property owners go to effort and expense, then find themselves wishing they had started with a plan. Eliminate the risk. 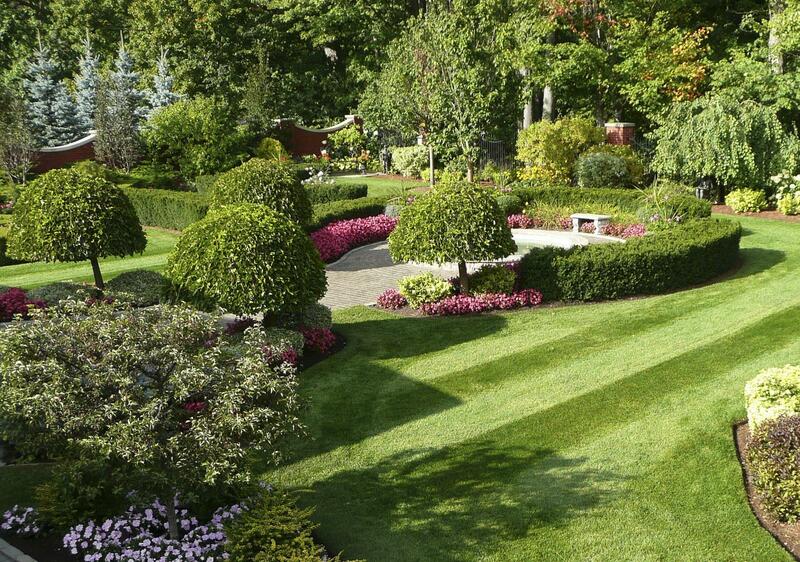 Hire a Landscape Industry Certified Designer and enjoy the results. Professional designers create professional landscapes. At your home or your business, on properties large or small, on the ground or on a rooftop, a professionally designed landscape can improve virtually any site. Whether you seek to increase the value of your investment with a professionally designed property, or enhance the quality of your outdoor living space, your first step should be to consider hiring a Certified Landscape Designer. Why a Landscape Industry Certified Designer (CLD)? There are many reasons to seek the services of a qualified landscape designer, indicated by the CLD designation. Good landscape design requires far more than creativity. Creativity without horticultural expertise and an extensive knowledge of site engineering will only lead to disappointment in the finished product. Only Landscape Industry Certified Designers have the mandatory education and professional expertise, and have written and passed an intensive exam and review process. Only upon proving such proficiency can a candidate be considered for the Landscape Industry Certified Designer professional designation. How are Landscape Industry Certified Designers qualified? Successfully complete a written examination, to test knowledge of horticulture, plant identification, grading, construction details and professional practice skills. What is a Certified Landscape Designer's role in the design and construction process? A Certified Landscape Designer has the expertise to fill several roles in the landscape design, planting and construction process. Many CLDs work independently and can represent the needs of their clients, which can be especially important in the landscape construction process. Working with clients to determine the overall project objectives, a CLD will bring creativity and problem-solving skills to the project, ensuring suitable recommendations for each specific site and design challenge. In addition to design, Certified Landscape Designers offer consulting services that are required for steering a project from a bid process through to final construction. A Landscape Industry Certified Designer is qualified to ensure accountability and construction quality. The CLD assists clients in determining a budget, choosing a suitable landscape contractor, resolving any on-site disputes which might arise and the management of construction costs. As project manager, a CLD will inspect the construction process, ensuring that the owner can release payment for the completed work with confidence. Great landscapes start with CLDs. Great landscapes happen when a there is a well-managed balance between creativity and practical problem solving knowledge. A CLD can bring both to your project. Working as an independent agent, a CLD can honestly and fairly represent the needs of the owner. The CLD designation is your assurance that the CLD brings a high level of professional knowledge and expertise to every design project. Continuing education is a requirement to maintain CLD certification. Hiring a CLD doesn't cost, it pays. By ensuring the most practical solutions for each design challenge, by helping the owner to find the best landscape contractor, through assistance in locating supplies and more, using the professional services of a CLD will help you achieve the most cost-effective results possible and ensure a well-performing finished project. The CLD designation is an initiative of Landscape Ontario Horticultural Trades Association.